They’re now just 40 minutes away from another silverware treble, although making it to the 2018 BBL Play-Off Final was far from plain sailing for holders Leicester Riders. 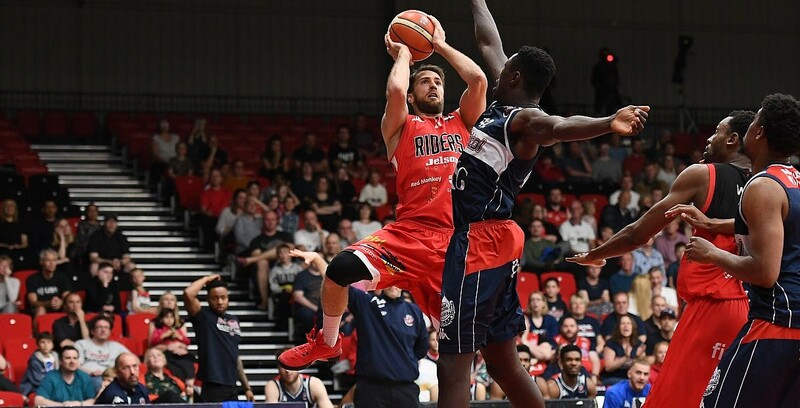 Rob Paternostro and his side had to come from a worrying half-time deficit to ease past a brave Bristol Flyers side who came up short, but will be able to head into the summer reflecting on their best ever BBL season. Turning point – Flyers had stunning the home side by taking an 8-point lead at the interval and having eaten into more than half of the deficit from the first leg, Bristol fans dared to dream. But once again the third period was pivotal as Riders came out with all guns blazing to regai control off the back of a solid 12-5 start to the second-half. Key stat – They didn’t shoot that well, but Riders kept control and avoided any upset by looking after the ball and only spilling it 8 times. Game heroes – JR Holder continued his rich vein of form by dropping 18 points and completing a double-double after hauling down 10 boards, while captain Tyler Bernardini led by example with a team-high 22 points.